"Holoholo" (to walk or travel for fun) over to Two Scoops Ice Cream Parlor and English Tea Room for some "Ono" (delicious) ice cream flavors such as Chocolate Macadamia, Hawaiian Mud, Coconut Macadamia or Rainbow Sorbet along with standards like Strawberry, Chocolate and Vanilla. 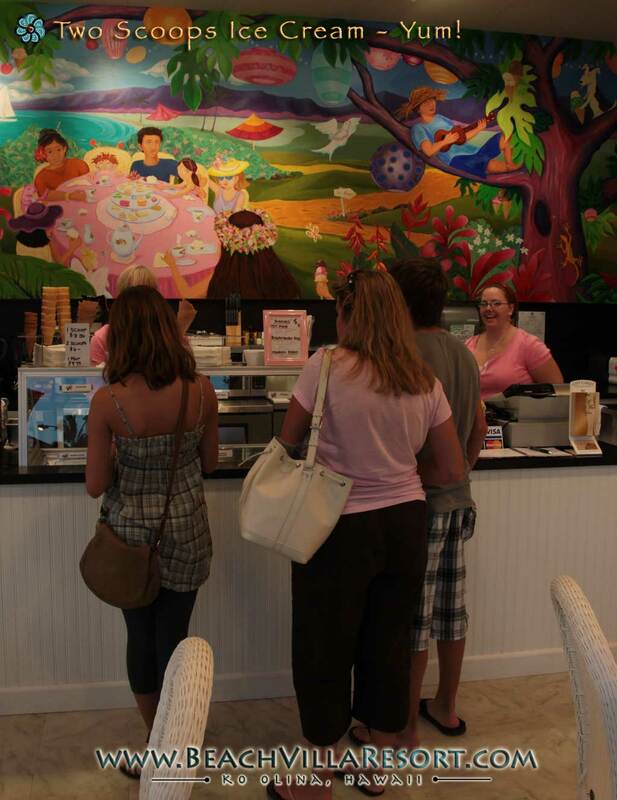 Check out the beautiful mural inside the shop, painted by Laura Margulies. 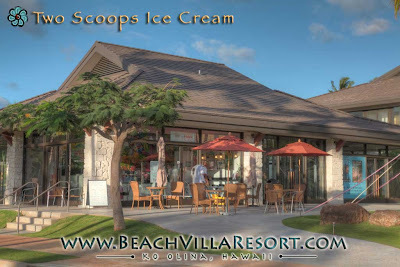 Transplants, Pat & Nathan from England fell in love with Hawaii in 2006 and lucky for us, they "transplanted" themselves and their Scoops Ice Cream Parlor to beautiful Ko Olina, thus Two Scoops. 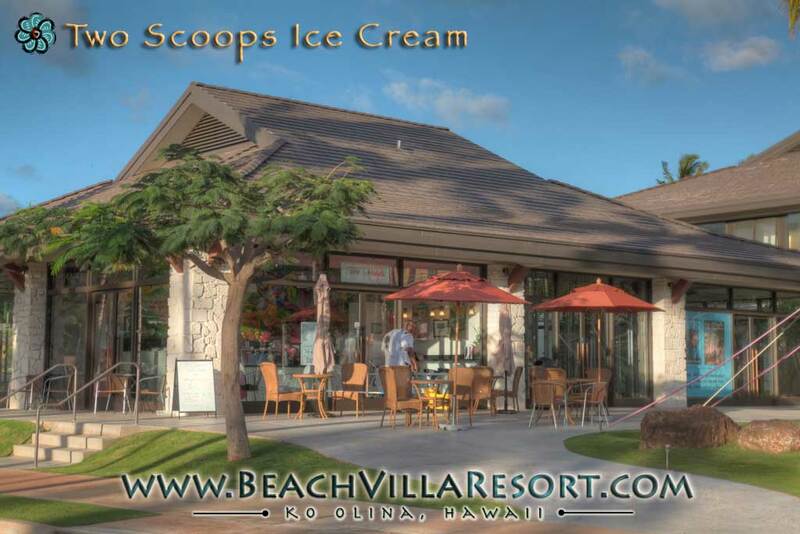 Located at the right front corner of the Ko Olina Station shopping center within the Ko Olina Resort. Next to the Golf Course. Mandarin Orange or Knickerbocker Glory Sundae anyone? Let's meet up at Two Scoops. It would be our pleasure!